These are the crispiest and best waffles in the world! 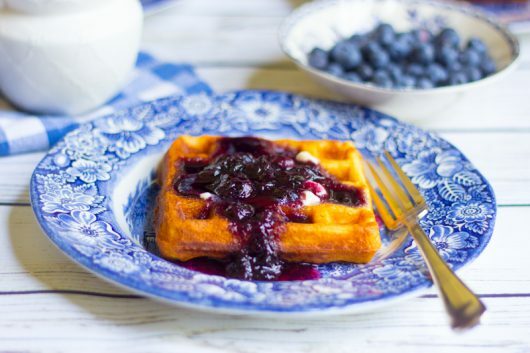 Top them with a simple and delicious two-ingredient blueberry sauce, and you’ll have the ultimate main course to serve for breakfast, brunch, or dinner. Good news for the gluten-intolerant: I tested this same recipe with King Arthur’s “Measure for Measure” gluten-free flour mix last night. The waffles were just as crisp and wonderful as those made with wheat flour! 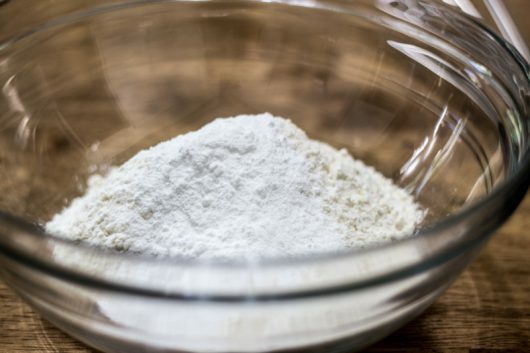 While the iron is heating up, tip each of the following into a large bowl: 1 1/2 cups all-purpose flour, a pinch of salt, and 4 teaspoons baking powder. Then add my “secret” ingredient: 1/2 cup cornstarch! 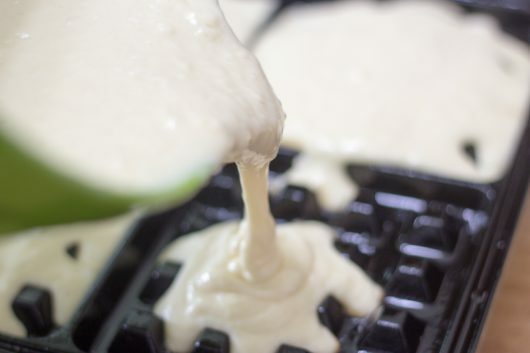 Cornstarch absorbs steam while the waffles cook, so you end up with crispy, not soggy, waffles. 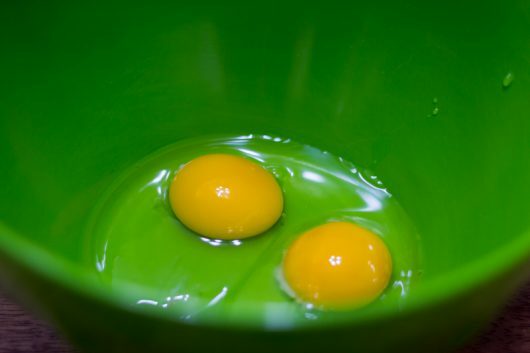 Now put two large eggs in a separate, medium-large bowl. 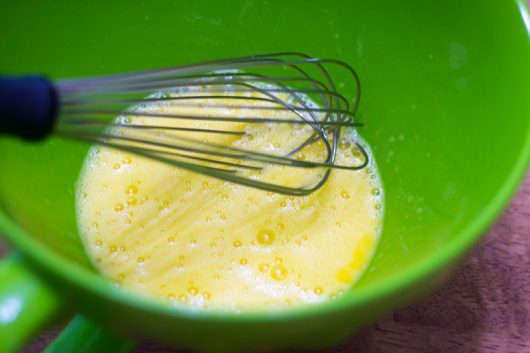 Vigorously whisk the eggs until they turn pale and foamy. And 1/2 cup safflower oil. 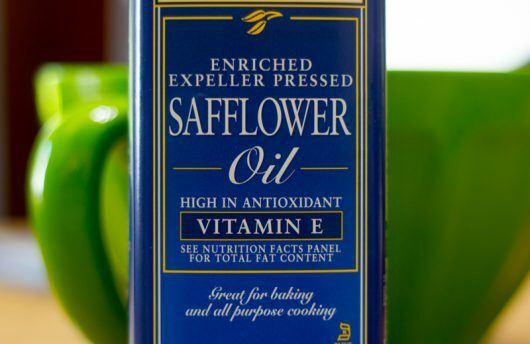 As I mentioned in the video above, safflower oil is the best fat for crispy waffles. And violently whisk to combine. Don’t worry if your batter has a few lumps. Even if your iron is “non-stick,” you’ll want to hit the thing with some non-stick vegetable spray. You know, for insurance. 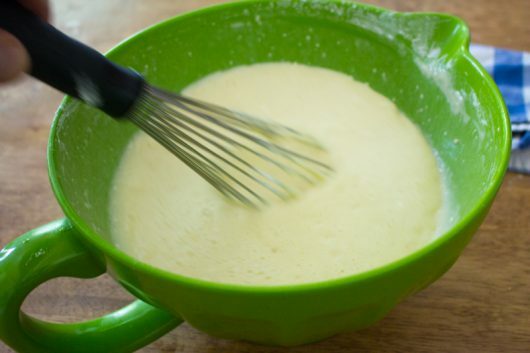 Add the right amount of batter for your particular iron, and then close the lid. If your waffler is similar to mine, the waffles will be done in about 5 minutes. 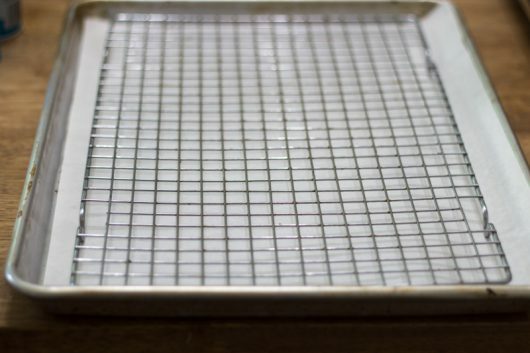 While the waffles are baking, preheat the oven to 200°F, and place a wire rack on a baking sheet. When the waffles are done, arrange them in a single layer on the aforementioned rack, and pop them into the oven. 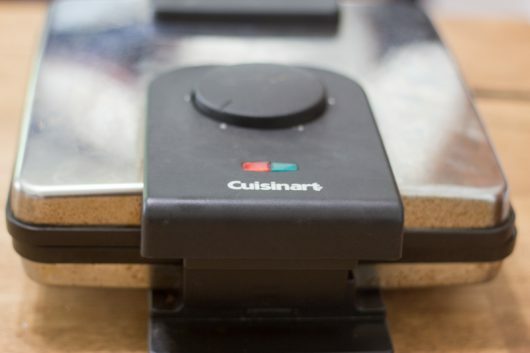 Oven time — even if only 10 minutes — will insure the waffles don’t lose their crisp countenance. 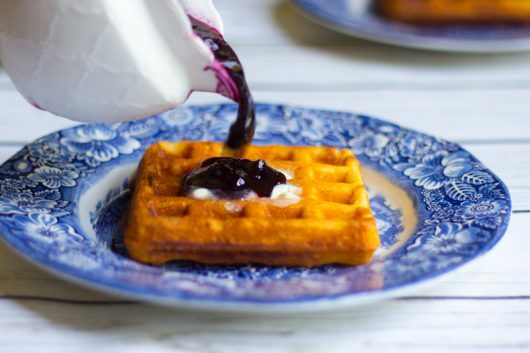 To serve, top each hot waffle with a pat of butter and a river of blueberry syrup/sauce. The crispiest waffles I've ever encountered. 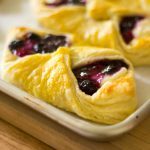 I like to serve them with butter and a simple two-ingredient blueberry syrup. The blueberry syrup/sauce -- In a medium sauce pan, bring the blueberries and maple syrup to a boil. Then remove from heat, and mash some, but not all, of the blueberries. Keep warm, if desired, while you make the waffles. To make the waffles, first preheat the waffle iron (follow manufacturer's instructions), and preheat the oven to 200°F. Also, place a wire rack atop a baking sheet. 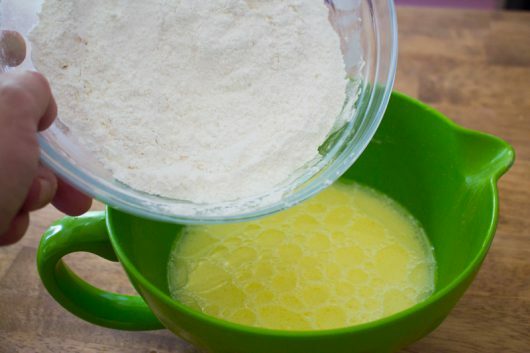 Whisk together the flour, salt, baking powder, and cornstarch in a medium bowl. 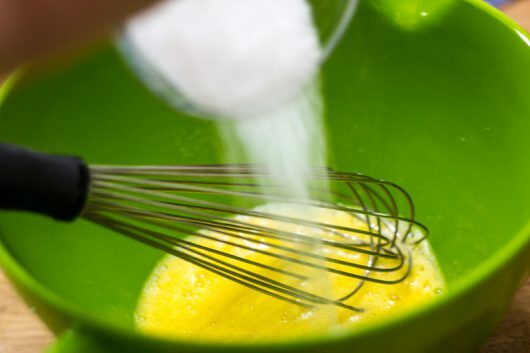 In a separate medium-large bowl, whisk the eggs until they turn pale and foamy. Then whisk in the sugar, milk, and oil. 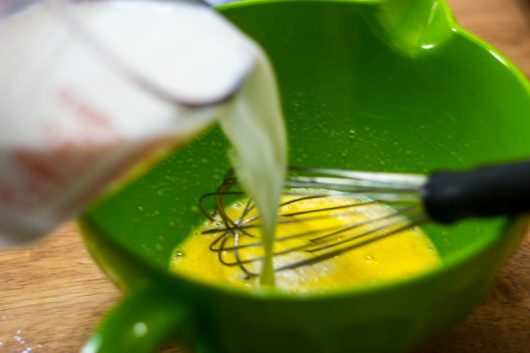 Add the dry ingredients to the wet, and whisk until well combined. Pour or ladle the batter onto the hot waffle iron, and cook, per manufacturer's instructions, until the waffles are brown and done -- usually 5 minutes. Transfer the waffles to the baking sheet, and keep them warm in the preheated oven until serving time -- up to 30 minutes. 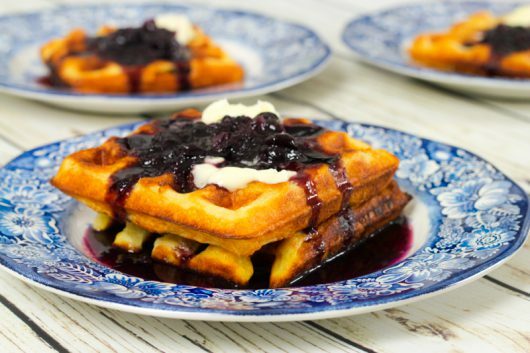 To serve, top the waffles with butter and blueberry syrup/sauce. What would be the best type of gluten free flour to use for the waffles? 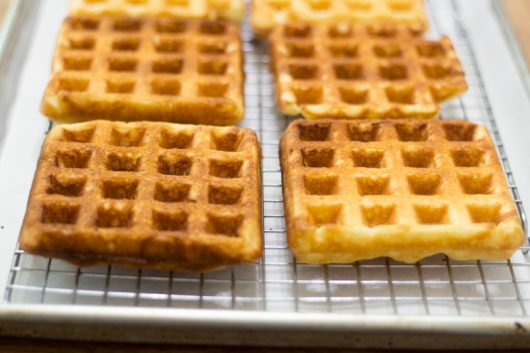 Hi Anne – Wish I could advise you, but I’ve not yet made these waffles with GF flour. Thanks for the great recipe. We will try it this weekend. These look sooo good! 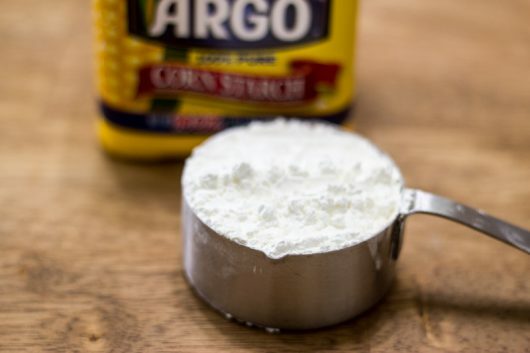 I never heard of using cornstarch in waffles before but it makes sense. If anyone needs instructions for their waffle iron, they can probably be found online as long as you know the brand name. Thanks for another great recipe! Thanks for testing this for Gluten Free. 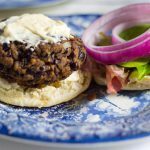 I love your GF recipes [and others]…usually I have to experiment. YAY!!! PS Can’t wait to try the cauliflower base. Ah! Today is also my husband’s birthday AND I got him a waffle iron as one of his gifts! So perfect timing, plus those normally elusive instructions are at hand. Thank you for this recipe which we will be enjoying tomorrow morning. Could I use avocado oil? brand is often recommended for bread baking. I’ll give it a try! I imagine these could be made ahead & frozen, too. Then just popped in the toaster. Mind if I drop by for breakfast? These look wonderful. Interested in the addition of the corn starch. Our household doesn’t eat any kind of corn, so corn starch is off the menu. I usually substitute arrowroot powder. 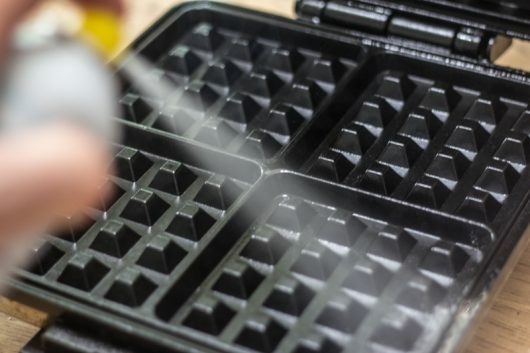 Any idea if it has the same qualities as cornstarch in keeping the waffles crisp? You know I love you even more for thinking of us gluten-free folks!! I will add, my GO TO Gluten Free flour is GF Jules (https://gfjules.com). It’s the only one I’ve found that NEVER results in a gritty texture which is especially needed for something as delicate as waffles and pastries. If you join their mailing list, there are some great specials offered from time to time. Just tried your waffle recipe in anticipation of grandkids here for breakfast tomorrow morning. They love waffles. Previously I made a recipe which had me separating the eggs and whipping the whites and then folded in the rest….tedious and time consuming. Yours is crispier and better tasting! And easier! Thanks so much. By the way, love your new kitchen.